Cheap garden edging is hard to find. 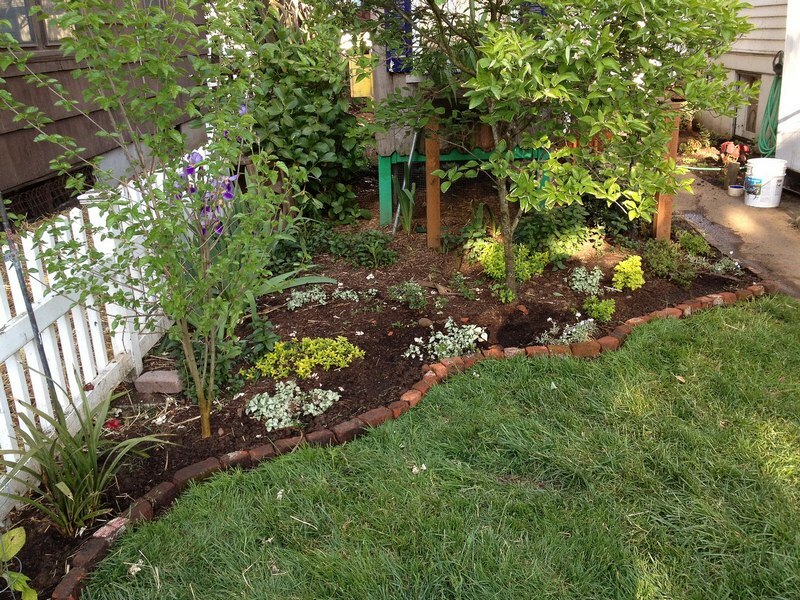 Here is a guide for a cheap gardening edging idea on how to use bricks as garden edging. Learn how to obtain bricks for free, along with tips on how to build a brick garden wall, using bricks as gardening edging. Finding the right garden edging design can be difficult, especially when working with a budget and trying to stick with using cheap garden edging ideas. One of the best garden edging ideas is using bricks as garden edging. Many people around the world build gardens to grow various bushes, flowers, and other plants. Although the process of building a garden can be great, spending a few hundred dollars on gardening edging is horrible! If you are looking for good garden edging ideas, the best idea is to use bricks as gardening edging. When people first think of a brick, they may think of only one specific color of brick they most commonly see used to build houses around their neighborhood, whether the bricks are gray, red, or any other commonly used colors for bricks. The truth is that there are several different types of bricks, made of stone colored in a wide variety of colors, from white to black, and every shade of color in-between. Almost any color brick can be acquired, in order to use bricks as gardening edging. If you are willing to spend money, you can most likely go to any local hardware store and purchase the specific color of brick to use as garden edging. However, if you don’t have a large budget, which this guide is focused on, you’ll need to be confident and creative, as you’ll see in the next section on how to get free bricks to use bricks as garden edging. How to Get Free Bricks! As mentioned in the previous section, in order to get free bricks, one must be confident and creative: confident to ask a complete stranger or company employee if you could reuse their bricks and creative enough to think of good places to find the bricks. You may even find the person (s) happy you are taking the bricks off of their hands. If you can’t think of any places where to find free bricks for gardening edging, a good place to start is at any construction site. Most of the time, many companies have extra bricks or old bricks they removed from the building and do not need the bricks any longer at the site. 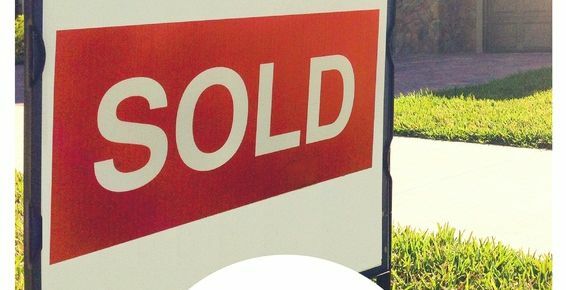 This usually is the case for industrial construction sites and new home construction sites. Another option to find cheaper bricks is from reuse companies who sell construction materials for next to nothing. 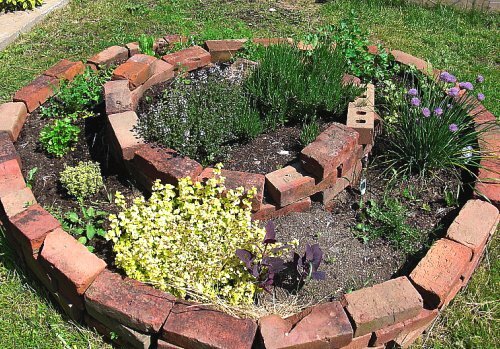 If you still can’t seem to get your hand on free bricks, head to the local scrap yard and see if they will allow you to search through any of their facility for used bricks being disposed of, so you can re-purpose them for the garden. Often times, they will have no problem with you removing bricks, as long as you are not stealing any “valuable” garbage, such as copper and aluminum. They will most likely check the vehicle before allowing you to leave with the bricks. Now that you know a few ways to get free bricks to use bricks as gardening edging, the next section will provide garden edging design ideas, in order to help make the bricks used as gardening edging looks attractive. When using bricks as gardening edging, you will need a few tips on how to easily build a garden and a few gardens edging design ideas. One good tip to know before you begin is to always lay out the bricks first, in the design you want to create with the garden, leaving an area open to allow wheelbarrows of dirt to fill the garden to be level with the brick garden edging. When laying out the bricks, you will want to layer at least two to three rows of bricks for the garden edging to be high enough, as one row of bricks may not be high enough and will probably not look too good. 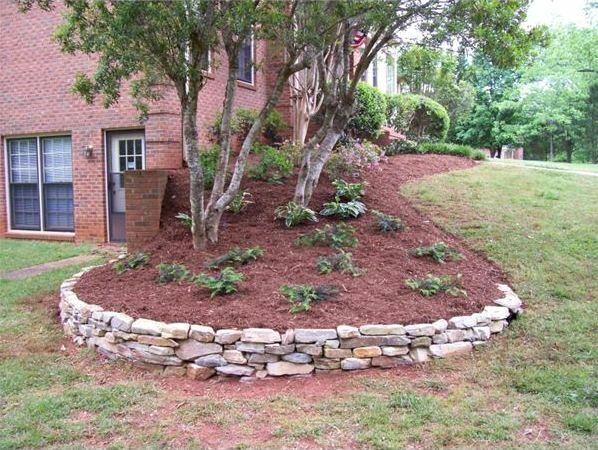 However, use as many layers of bricks needed to make the garden look like a focal point in the yard. When layering bricks for gardening edging, you want to make sure each layer of bricks is offset by one-half of a brick, resulting in a stronger brick wall. Also, consider patterning the colors as you add each brick for a uniform look. After you have the bricks laid out in the exact garden edging design desired, it’s time to fill the garden up with a load of dirt, build the last section of bricks you left open to haul in the dirt, and make sure the dirt is compacted and at least one to two inches below the top of the bricks, so the dirt does not wash over the bricks and out of the garden the next time it rains. Finally, begin planting! The guides featured in the Gardening Guides series will feature ways to get rid of irritating plants, such as how to get rid of pricker bushes, along with other guides on how to plant special plants, how to build a garden fountain, and how to build brick garden edging. What Tools are Needed for Bricklaying?